It’s important to us that our business causes no adverse impact on society or the environment, so we reduce, reuse and recycle wherever possible. We source responsibly. All of our suppliers are ISO 14001 certified. We work with manufacturers and suppliers that are certified as using timber from sustainable sources and which are certified by the Forest Stewardship Council and Programme for the Endorsement of Forest Certification. We and our manufacturers ensure that all process waste and returned packaging is separated to identify reusable items. The rest is collected by the nominated waste processor for that commodity. Used furniture from installations is collected on a ‘new for old’ basis. All the good stuff is donated to local charities and the rest is disassembled and recycled. Sometimes we refurbish/reupholster and sell as second-hand. We have made moves to reduce the use of gas, electricity and water in our own offices. We recycle everything we can and we optimise delivery scheduling and routing in order to reduce excess mileage and fuel consumption. Our fleet is well-maintained and we demand the highest standards from our drivers. We are committed to delivering sustainable workspaces without compromising design. Our project managers and designers are expert in evaluating the green credentials of all our projects. 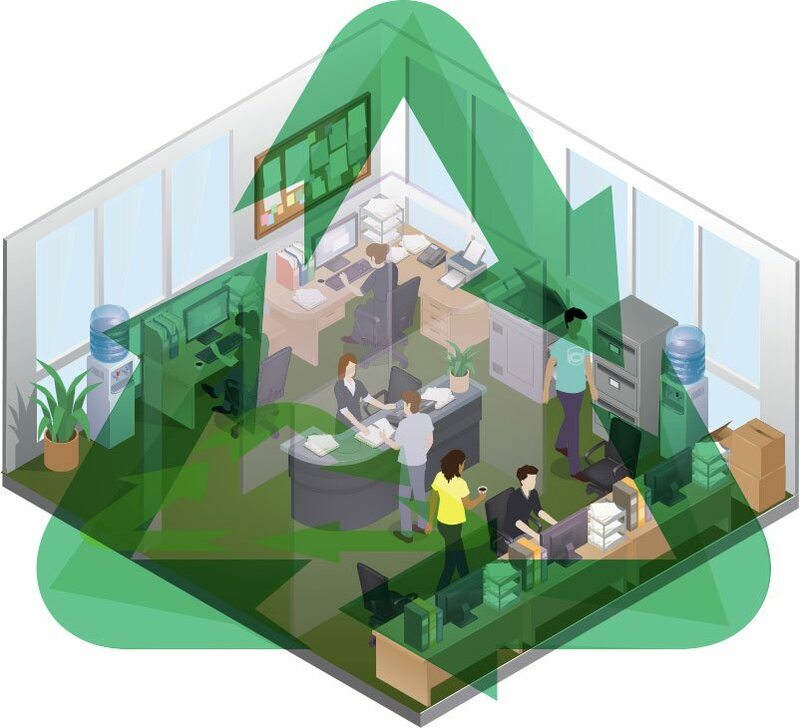 Workspaces delivered by us take into account environmental impact as well as staff wellbeing. We achieve the highest environmental accreditations for our projects including BREEAM Refurbishment & Fit-Out, LEED and RICS SKA Rating.